Nadando con mantas. Maldivas. - Global: Rasfari, lugar de encuentro con mantas; alucinante estar en el agua con 5 ejemplares. (Manta birostris). Swimming with Mantas. Maldives. 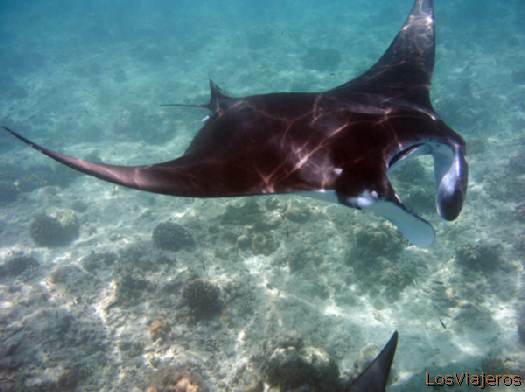 - Global: Rasfari, meeting point of mantas, incredible to be in the water with 5 of these. (Manta birostris). Elegante vuelo. Maldivas. Magnificent Flight. Maldives.